Varazze is a charming town on the Ligurian coast, between the Castle of Invrea and Celle Ligure. As this whole area, even in Varazze the beach is well equipped and it is accessible from the seafront boulevards, Via Torino, Via Matteotti and Via Santa Caterina. 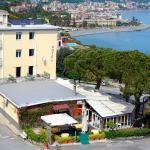 2 star hotels in Varazze are mainly located in the inner city, while 3 and 4 star hotels are mainly on the waterfront. 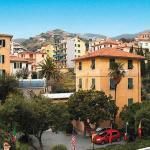 On Traveleurope you will find a wide range of hotels in Varazze, open during fall and winter. Select travel dates and find all available hotels in Varazze, check out guests reviews and locate properties on Varazze city maps, book your favourite accommodation with no pre-payment. All rates are in Euros and inclusive of all taxes. 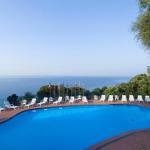 It is situated at the bottom of the hill in a peaceful zone at only 200 mt from the sea and the centre. Just 40 meters from the beach and the centre of Varazze, Soggiorno Al Nido awaits you. 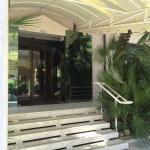 Just 20 minutes drive from Savona, this hotel offers 24-hour reception and a warm, attentive service. Hotel Cristallo enjoys an exclusive position just 100 meters from the beach, along the charming Riviera Ligure, in Varazze. 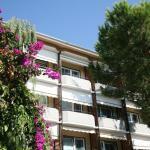 This building is ideal for those who want to enjoy a relaxing holiday, sea and good food. 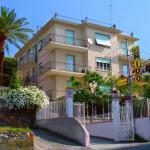 Best Western El Chico is set in a beautiful location on the coastline, a short distance from Varazze. This privileged location assures amazing views over the sea. The hotel provides a convenient free parking.